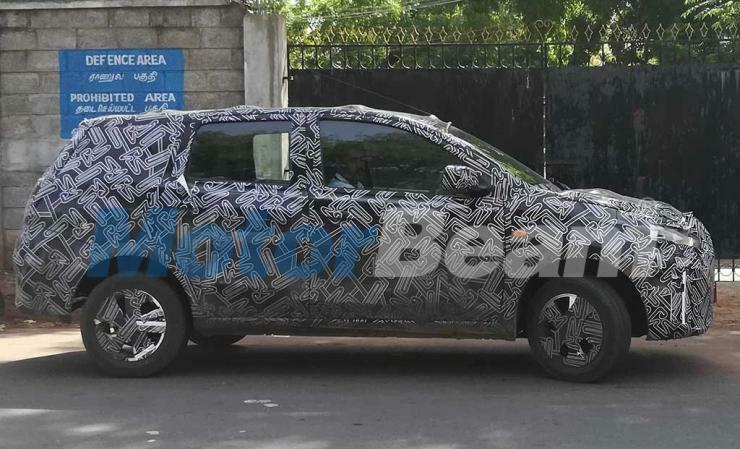 Datsun Go Cross SPIED testing for the first time in India: Maruti Brezza challenger? Datsun has just begun testing the Go Cross in India. The Go Cross is already on sale in Indonesia and is Datsun’s crossover meant to rival compact SUVs, such as the Maruti Brezza and the Ford EcoSport. 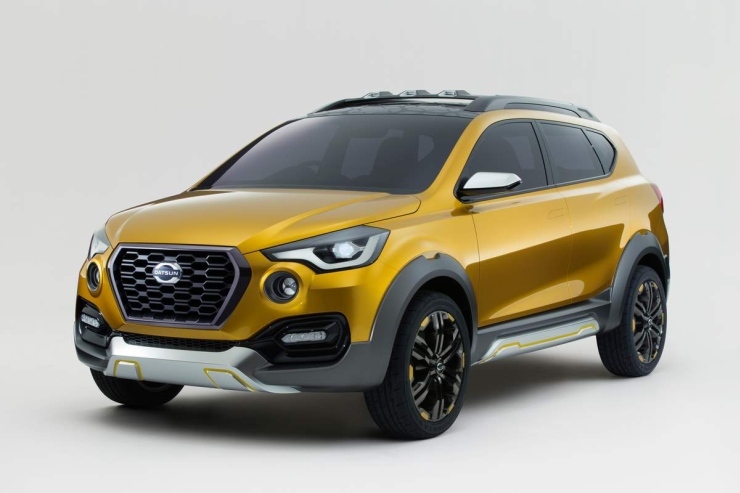 Recently, Thomas Keuhl, the new head of Nissan’s Indian operations said that a sub-4 meter ‘compact SUV’ from Datsun would arrive soon and it looks like the Go Cross is that product. The Go Cross is essentially a more rugged version of the Datsun Go+ 7-seat station wagon. Apart from refreshed looks on the outside – both at the front and rear – the Go Cross gets a brand new dashboard and interiors. As for engines, the 1.2 litre-3 cylinder HR12DE petrol engine is retained, along with its 67 Bhp-104 Nm outputs. This engine gets a 5-speed manual gearbox and a CVT automatic gearbox in the Indonesian market. Now, recent reports about the compact SUV that Datsun is planning for India suggest that the vehicle will use the CMF-A platform that the RediGO and the Renault Kwid are based on. The reports also suggested that the 1-litre, 3 cylinder petrol engine of the RediGO – which currently makes 67 Bhp-90 Nm – will be turbocharged to put out more power and torque. Also, the price of such a Maruti Brezza-rivaling SUV will be well under Rs. 10 lakhs, underscoring the Datsun’s positioning in the Indian market as a low-cost car brand. With Datsun having just begun testing the Go Cross in India, it remains to be seen if the crossover styled model would actually turn out to be the compact SUV after all. The Japanese low-cost car brand is planning a slew of launches for India in order to boost market share. In the next six months, facelifted variants of the Go and Go+ will be launched, while the RediGO will get a special edition model. The Maruti Brezza-challenging compact SUV is expected to be launched sometime next year.